This soft and stretchy jersey dress was my favorite find from Amazon Prime Day this year! If you follow me on Instagram, you saw that I shared that it was on sale for only $10, but even the regular price of $18 is totally worth it. I grabbed it in both Olive Green and Dusty Pink and I've already been wearing them on repeat. Dresses like this are perfect because they're so casual, but can be dressed up with the right accessories. 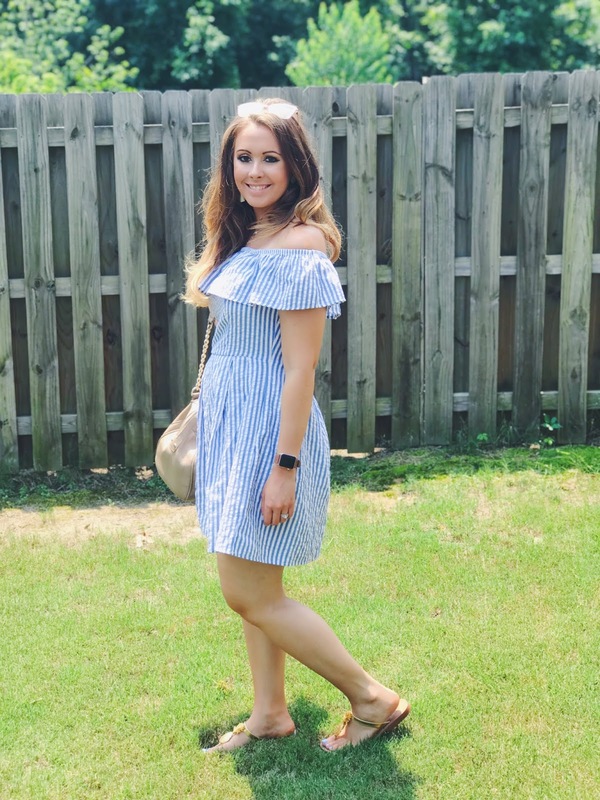 I live for dresses like this when the summer heat is just too much, because I can wear it to go shopping, to church, to a lake day, to a barbecue...the possibilities are endless. I can also dress it up and wear it to work and throw a cardigan over it in the fall. The jersey material hangs really well and feels very well made. It fits TTS, but if in doubt, get a size up as it is somewhat form fitting through the hip area. It comes in twelve different colors and I can already tell I'll be adding a couple more to my wardrobe in the future. I highly recommend!